Efficacy of aloe vera for the treatment and beauty has been known since the time of ancient Egypt thousands of years ago. In fact, the queen Cleopatra is famous for its beauty believed to use these plants to still look beautiful. Aloe vera leaves are already large, generally has a length of about 30 cm. In the leaves have a slimy flesh, this section is rich in benefits for humans. The older leaves of aloe vera, the more useful content it has. Want to know what are the benefits of aloe vera? Aloe vera is famous for making the hair into the hair becomes soft, so beautiful. Perhaps these benefits we have heard since childhood, we are often advised to use aloe vera for beautiful hair. That's why a lot of shampoo that uses aloe vera extract in their products. The benefit is obtained from the content of glyco proteins. When you have this plant at home, you can use it in a way to peel his skin and then rub the meat to the scalp and hair to become fertile and beautiful hair. Lignin is the content contained in Aloe vera leaves is useful to keep the skin moist so that the skin does not become dry and supple, also useful for preventing the occurrence of skin allergies in the wearer. Coupled with the content of anthraquinone and the amino acids that would be very useful for skin because it helps the skin to instantly update itself to produce new cells and to remove dead skin cells. Meat from the leaves of Aloe vera also has similar acidity to that of humans and is able to penetrate well into the body also contain saponins that can function as an anti-bacterial and anti fungal. The use regularly can make your skin look healthy and beautiful glow. You can also use aloe vera as a face mask, because it also contains antioxidants that prevent premature aging. Cool effect of aloe vera jelly can be a first aid when you are suffering from severe burns or scalded. Can also be used for sore skin due to excessive sun. Simply paste the flesh of aloe vera on the injured area. The cold produced from the aloe vera will help the healing process. We have had a lot of drinks made with the use of aloe vera or aloe vera because these plants also have their uses for treatment. Meat from the aloe vera can cope with the heat that can cause ulcers or sore throat. Another benefit in the health sector is to reduce cholesterol. You can drink it in a way juiced or cooked. Instead, immediately if the meat from the aloe vera after peeled, because if left in the open air will cause it oxidized so diminished his usefulness and the meat will be brown. 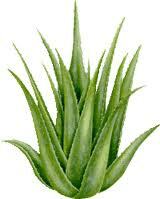 Drink or eat the flesh of the leaf aloe vera or aloe vera will also provide benefits for beauty. Aloe vera can also be used as a refreshing drink by adding sugar or honey plus water ice cubes. Use aloe vera or aloe vera for beauty can be enjoyed by buying cosmetics or beverages in containers that exist in the store or supermarket. But, for those who want to try the traditional properties, try to make this plant as one of the collections of living in your home pharmacy. This plant is easy to grow and not have to care to bother. In fact, this plant can clog your pores leaves the meeting so that can live long without flushing. Indeed, aloe vera is one of the traditional way for the benefits of healthy and beautiful all at once for you.